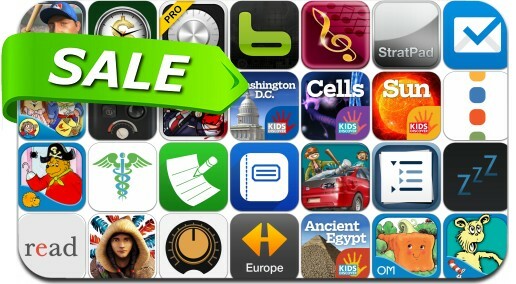 iOSnoops is constantly on the lookout for great deals, and here are 34 iPhone and iPad apps that have just been discounted. This app deal alert includes R.B.I. Baseball 14, Broken Age, Spirits of Spring, Boxer, StratPad Platinum, Chased By The Light, InFocus Pro, Army Wars Defense 2, Binaural Sleep Beats, Final Touch and many others.